I love working on whole class writing activities. Today, we worked on building a snowman. 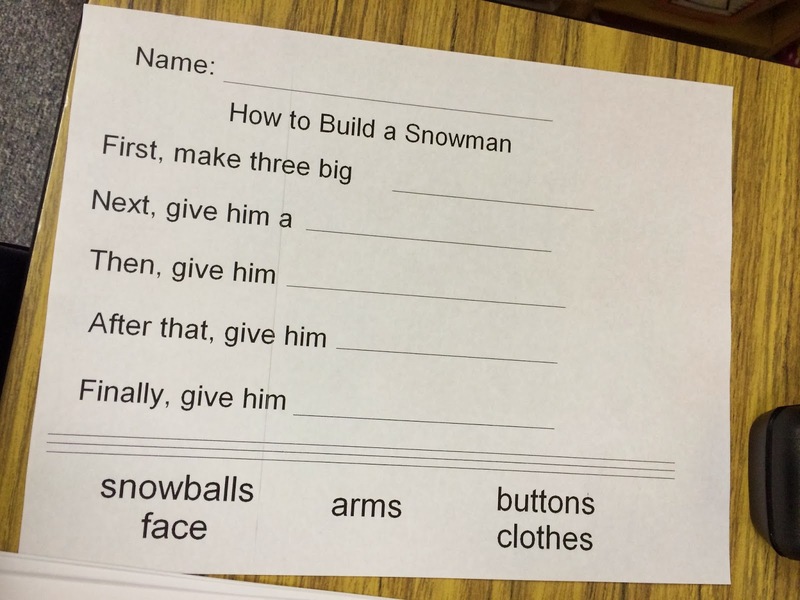 For the whole month of January we have been discussing the body parts of a snowman and how to build one. 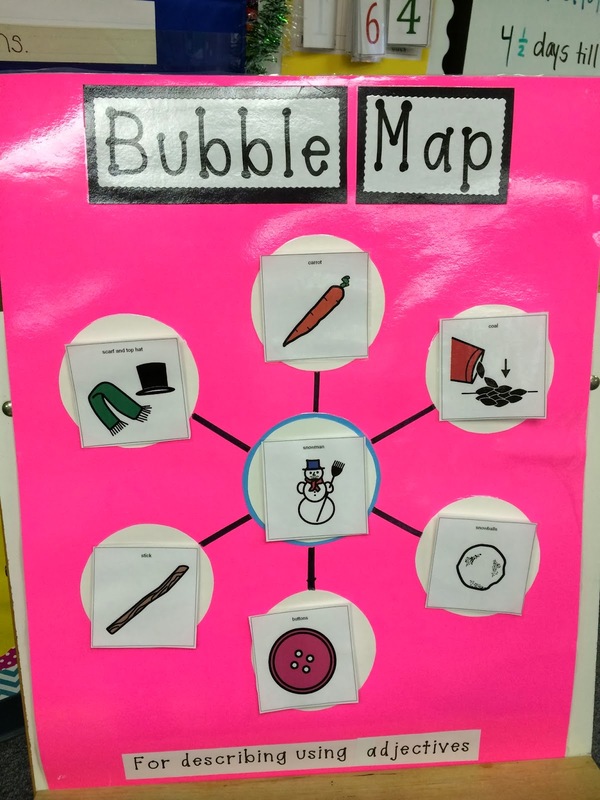 I created this bubble map activity so that students could add and remove velcro pieces as we discuss the parts of a snowman. 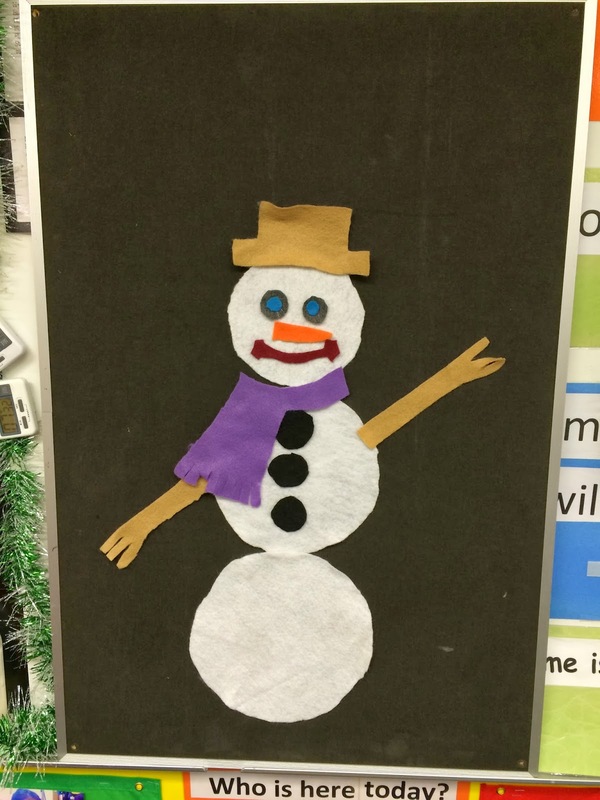 I tried to be crafty here….. as you can see I made a snowman using felt! This is a super fun activity that my kids absolutely love. They get to build a snowman piece by piece! 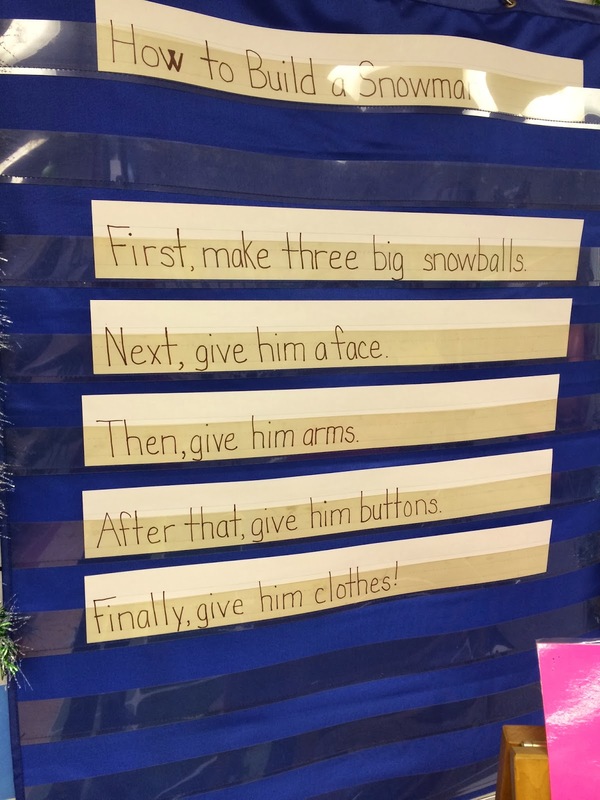 I created simple sentence strips to post in the front of the classroom. 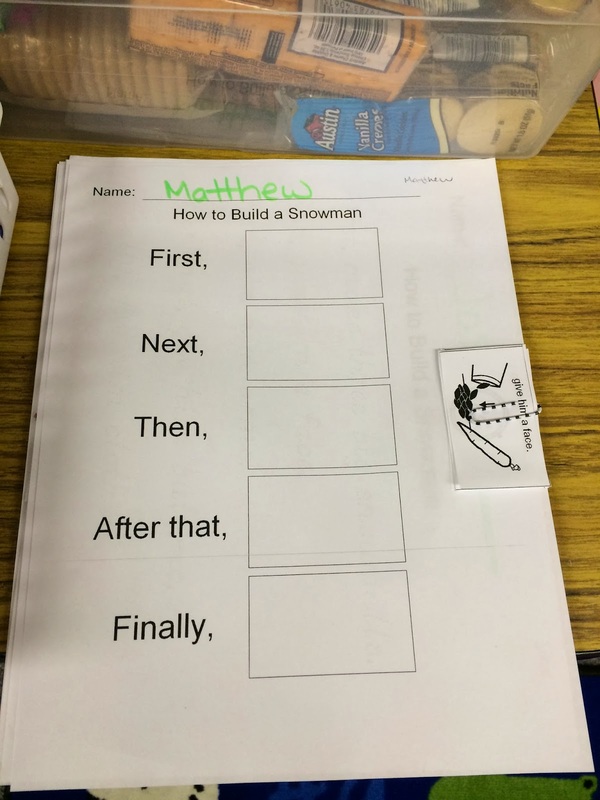 We reviewed how to build a snow man and read each sentence as we built one using our felt pieces. 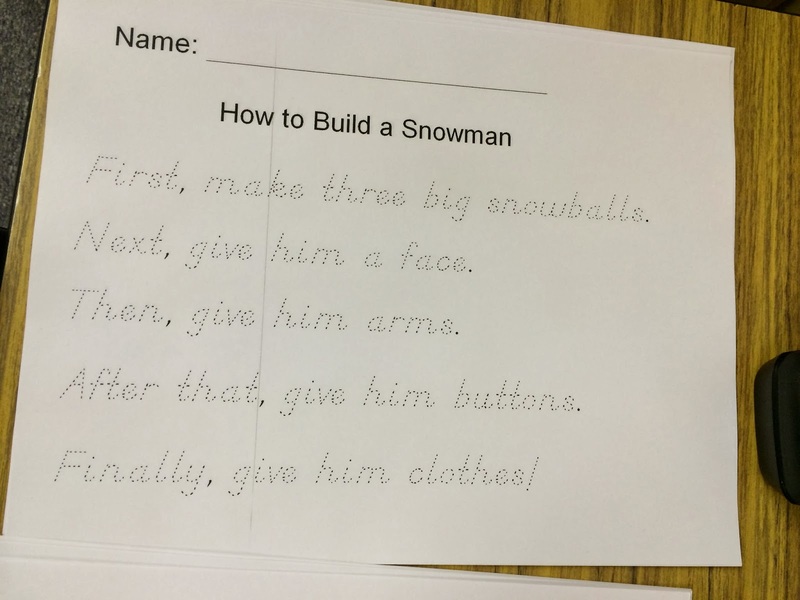 Once we reviewed the steps, my students wrote how to build a snowman using their individualized worksheet. For my lowest students, I created a cut and past worksheet. They had to match the picture to what I said. This was a great way for my non-writers to participate in my whole class writing activity. For my students who are working on tracing, I had the sentenced pre-typed for them so that they could independently trace their sentences. Lastly, for my highest students I created a word bank and had my students fill in the blanks. At this time, I do not have any students writing and spelling independently. 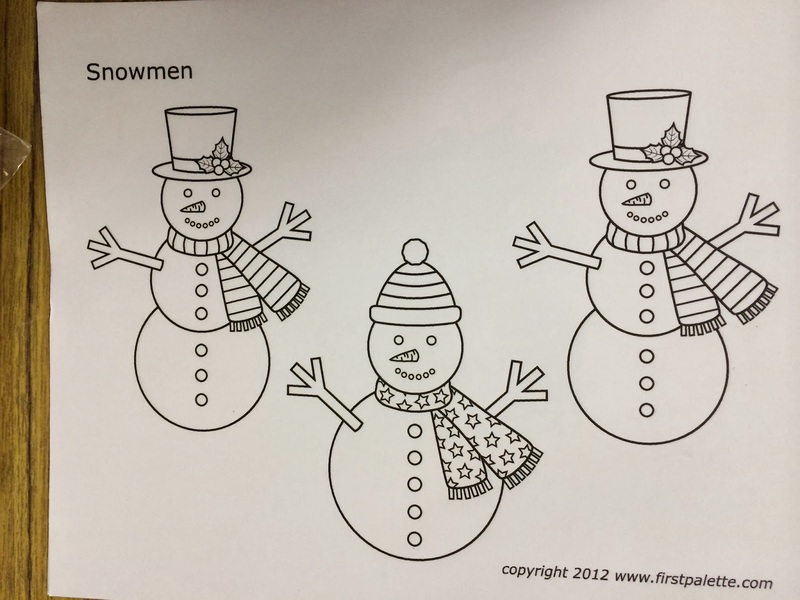 If you had higher students you could challenge students to copy from the model in front or write independently about a snowman. I also had each student color a coloring page I found online! This was a great writing activity that I now have posted on my writing board for the month! Like this activity? I posted it as an added bonus to my January Vocabulary Unit. All the writing worksheets are included! 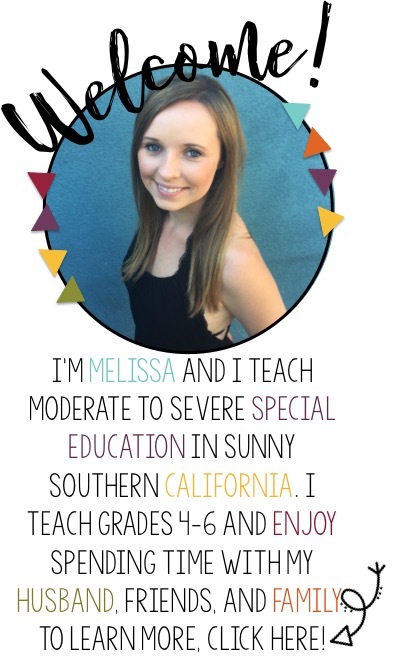 It is available for purchase on TpT!